Living with a roommate may mean sharing a space and sharing rental costs, but should you share a renters insurance policy as well? The short answer: no. In our long answer below, we’ll walk you through why sharing a renters insurance policy isn’t a good idea and what we’d recommend you do instead. 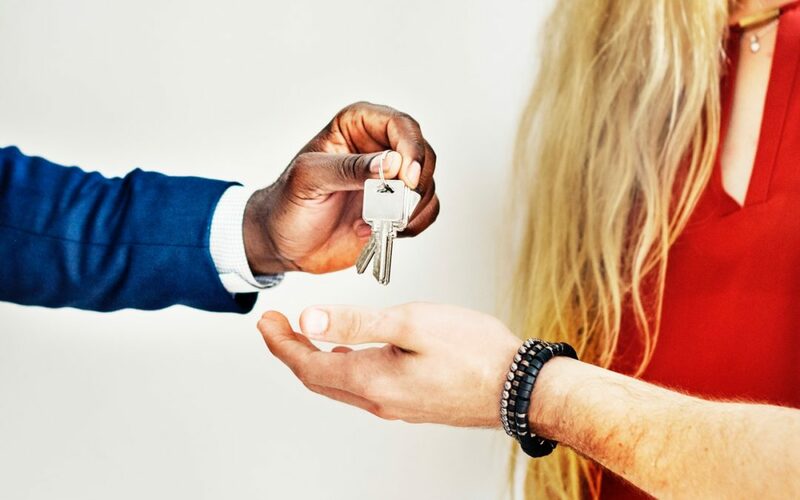 If you’re moving into an apartment with at least one roommate, it is likely that the landlord or property management company will require that you secure a renters insurance policy before move-in day. This is because while the apartment building itself is already covered by the landlord or property management company’s insurance, your individual apartment and its belongings are not. Ensuring that you obtain renters insurance coverage of your own limits the probability that you’ll go after the property manager in the event that something from your apartment is stolen or damaged. That being said, why isn’t it a good idea to share a renter’s insurance policy with your roommate(s)? Great question! For one thing, a renters insurance policy only covers the policyholder’s property. If your roommate’s items were to be stolen or damaged, they would not be able to file a claim under your policy because they are not named anywhere on it. Some insurance companies offer the option to add your roommate’s name to your policy, but this is not a great option either. While splitting one policy may seem better for your wallet, renters insurance policies are relatively inexpensive. In Media, PA, a renters insurance policy with $100k liability coverage is about $10 per month. Regardless of the price, adding your roommate to your renters insurance policy could end up increasing your annual premium significantly in the event that they need to file a claim on their own property. If your roommate that is named on your policy came home to find that thousands of dollars worth of their jewellery was stolen, they would contact your insurance agent to file a claim. Any claims that are filed under your name will directly impact your ability to obtain a policy at a lower price for years to come even if your property was not what was stolen. Insurance companies do not care whether you were the one who needed to file the claim; as long as a claim was filed under your policy, you’re seen as a bigger risk to them and your annual premium will reflect that. The best option is for you and your roommate(s) to have separate insurance policies. You can adequately protect your individual property at the cost of a few coffees per month. This is a much better situation to be in as you do not have to worry about claims being associated with your name that weren’t actually yours. Contact Risk Averse at (610) 335-1139 to get a renters insurance quote for your rental property and ensure that your valuables are covered!